very nice! I like the thumb and middle finger best! Wow I love how you incorporated all these elements together! This looks amazing!!!! oooh! This is so beautiful! 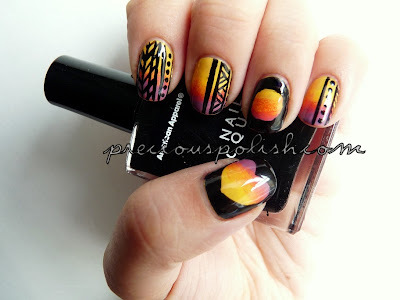 i love EVERYTHING about this mani! SO AWESOME!